Carousel Coral: Top 13 Favourites of 2013. Top 13 Favourites of 2013. It's the last day of the year 2013, and what a better post to write than my top 13 favourite products of the year that is about to end in a few hours! You've may seen already these products many times in previous posts but that's the whole point of this post anyway, to write about the products that I've used and loved the most this year. So let's start! 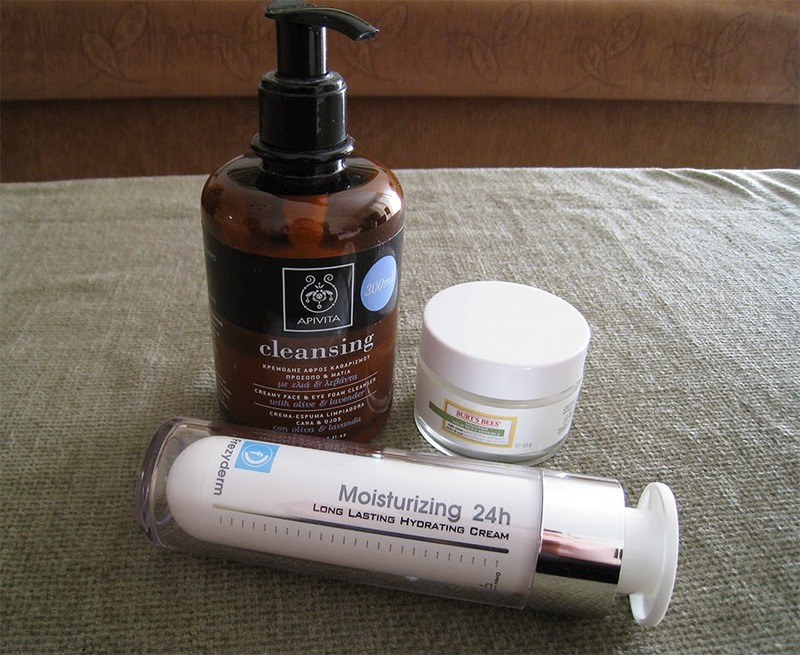 The highlight of the beauty products that I've tried this year has to be the skincare ones, because I experimented more with my skincare routine this year and I found some really good products that I love using this period. I changed the cleanser that I was using for many many years non stop, to the Apivita Creamy Face & Eye Foam Cleanser with Olive and Lavender. My skin now is not how it used be a few years ago, the continuous use of harsh cleansers dehydrated my skin a lot, so I had to change it. This one from Apivita is the best for those who have oily but dehydrated skin, you should definetely check it out! A moisturizer that I really love and purchased twice within a few months is the Frezyderm Moisturizing 24H Hydrating Cream, this one also helped a lot with the dehydration of my skin, it's not very lightweight but it also doesn't leave a heavy feeling on my face. One more thing is that it never broke me out and I have a bad history with break outs from various moisturizers, so this one is definitely one of the best moisturizers that I've tried so far. One more moisturizer that I really love, this time a little heavier and more appropriate for the nightime, is the Burt's Bees Sensitive Night Cream. It can be a little heavy underneath foundation, but it doesn't leave my skin feeling oily, so it's comfortable enough for the nightime, also it never broke me out and it's really good for those who are sensitive to perfumes. 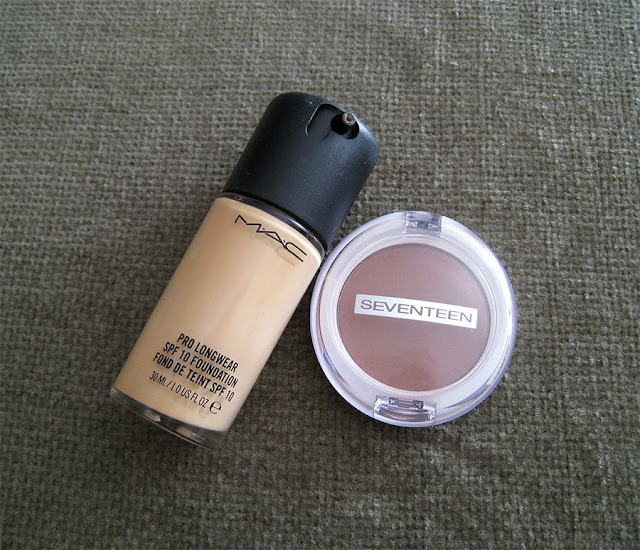 My top foundation of the year hasn't really changed at all since last year, it's still the Mac Pro Longwear! I just love this foundation, it's long lasting and the coverage it provides it's really good. I like trying new foundations every once in a while but this one will always be my top one, you can read a full review about it here. My top beauty discovery of the year has to be this blush from Seventeen, the Cafe Au Lait Silky Matte Blusher. I've completely stopped using any of the bronzers that I own and I've been using only this one since last summer. I don't think I've ever used a better shade of bronzer before, it's a warm brown shade without any red undertones, it's also very longlasting and the texture is very velvety, I just couldn't find a better bronzer for sure! The Stila In The Know eyeshadow palette is also one of my best beauty discoveries of the year, an eyeshadow palette with only matte neutral eyeshadows. They have amazing quality and pigmentation, I wouldn't expect anything less from Stila, they know how to make amazing eyehadows! 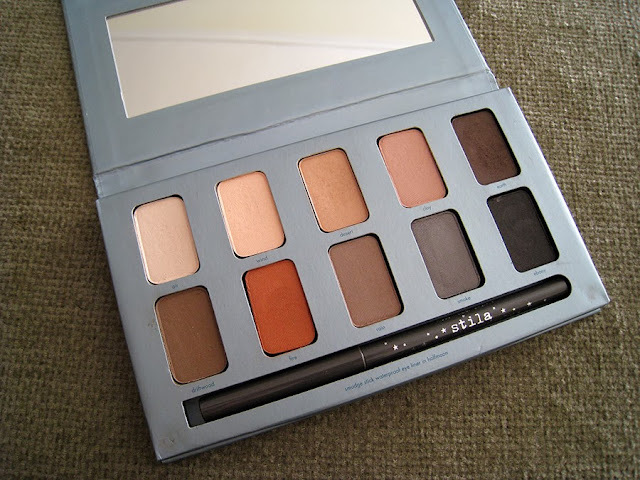 I've already done a full review about it here, check it out! Even though I included 2 blushes in my top 13 favourites, I'm gonna cheat and count them as one product. Essence's Silky Touch Blushes completely changed my mind about cheap blushes, I even think that they're better than my Mac ones, they have amazing texture and pigmentation. The ones that I love the most are the Secret it-Girl, a true peach shade, and Sweetheart, a light neutral pink. 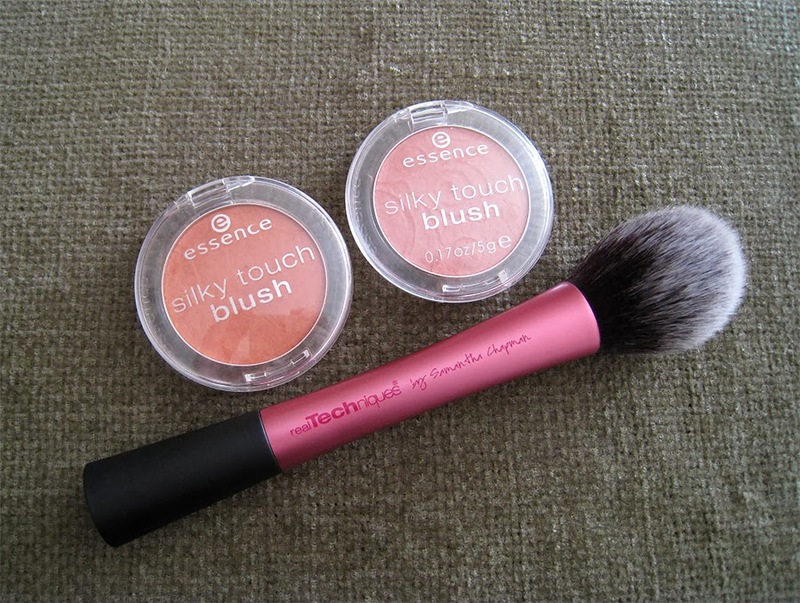 This year also I decided to try some of the Real Techniques face brushes, and they're definitely the best brushes that I've tried so far, especially the Blush Brush which I love using it to apply my bronzer and blushes, I'll definitely need a second one, really soon. 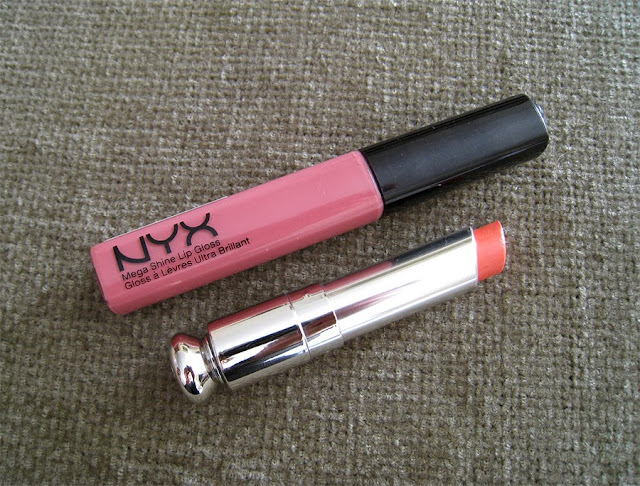 The lipgloss that completely blew my mind this year is the NYX Mega Shine Lip Gloss in Beige! I'm not a lipgloss person, and even though I own many I rarely wear them, but this one from NYX is my weakness, I keep reaching for it and it's always in my make up bag whenever I go out. It's a medium pink that goes with every single look that I do, and the texture is very silky without being sticky but in the same time it's not watery, it has just the perfect texture for a lipgloss. A lipstick that I used a lot last spring and summer is the Dior Addict lipstick in Delice, it's a medium sheer coral-peachy shade, it's so easy to use it like a lipbalm, and that's the main reason why I love the Dior Addict lipsticks. When it comes to nails, the Sally Hansen Insta-Dri top Coat is definitely my baby and I just can't live without it! It dries my nail varnishes within a few minutes and it's way better than the famous Seche Vite which is very thick and hard to work with. The Insta-Dri does the exact same job as the Seche Vite but it's very lightweight and not sticky at all. 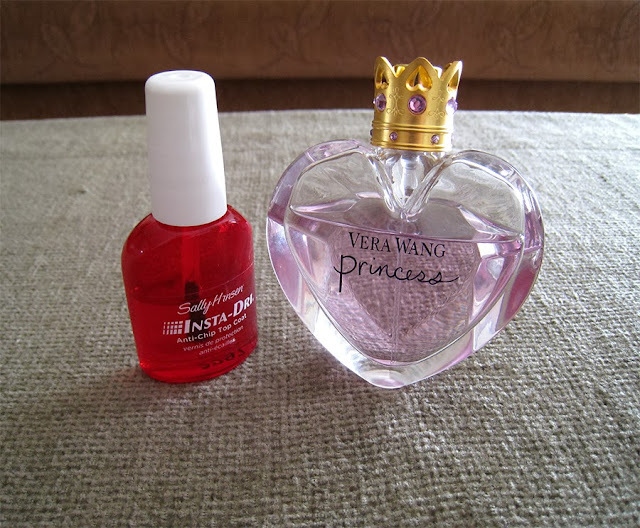 The perfume that I literally wore the whole year is the Vera Wang Princess, it has a light everyday scent that I love wearing all the time. If you like light scented perfumes, you should check this one for sure. And I left the last favourite of the year for the haircare, the Sunsilk Nourishing Oil Spray for dry hair, which is propably the best product I've used on my hair this year. 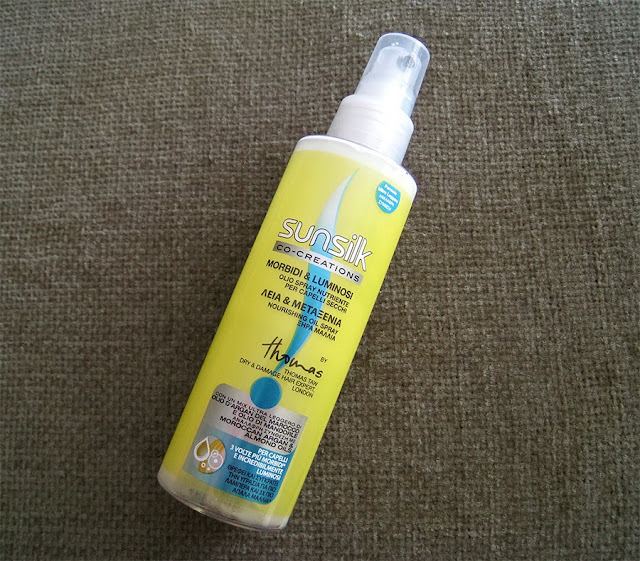 It's the perfect detangler, it makes my hair super soft super soft without weighting it down, I've tried many leave in conditioners but they never worked as good as this one. So those were my top 13 products for the year that is about to end. Have you tried any of them? 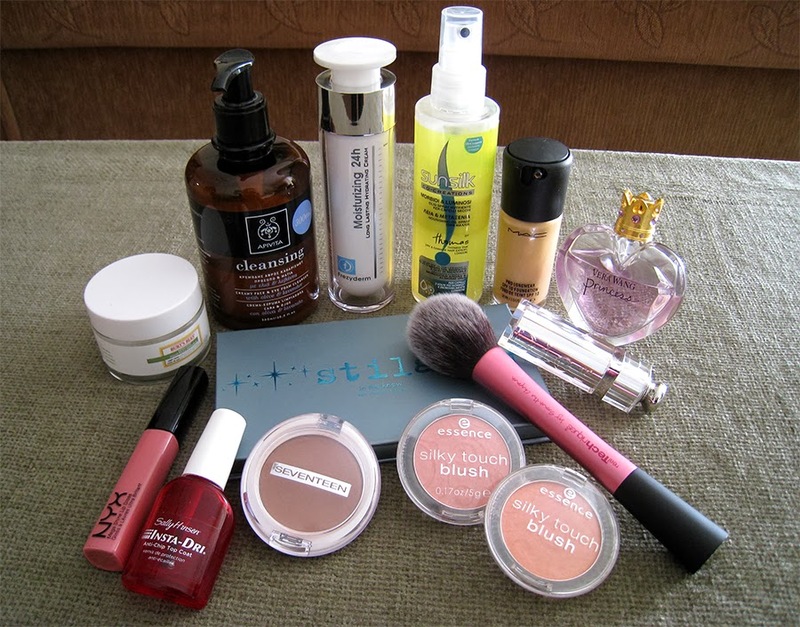 Let me know what were your favourite beauty products of 2013. I hope you'll have an amazing New Year's Eve, I'll see you next year my lovelies! Σ'ευχαριστω πολυ Κοραλλια μου, κ εσυ να εχεις μια υπεροχη χρονια! Πολύ καλός και ο αφρός της Apivita τον έχω δοκιμάσει αν και προτιμώ το cleansing gel με κίτρο & πρόπολη! Σ'ευχαριστω πολυ, να εχεις μια καλη χρονια! Καλή χρονιά!!! Ποσο δύσκολο ήταν να μείνεις σε 13?! Χαχαχα πολυ!! Καλη χρονια κουκλα! Σ'ευχαριστώ πολύ πολύ Σοφάκι μου, κ εσένα σου ευχομαι να έχεις μια τέλεια χρονιά! Το lipgloss ειναι απλά τέλειο, να το πάρεις σίγουρα! Καλη χρονια Τινα μου! Ελπιζω να σου αρεσουν ολα, εγω τα λατρευω! I think I'd struggle to only pick 13! Καλή χρονιά Σοφία μου! Πολύ ωραία αγαπημένα! Το Insta-Dri το λατρεύω! Πολύ ωραία όλα! Δεν έχω δοκιμάσει τα πινέλα αλλά το συγκεκριμένο είναι στην wishlist μου! Το αρωμα της Vera Wang το εχω κι εγω και το λατρευω!! "What's In My Shower" Tag. The Apivita Experience Store in Athens .